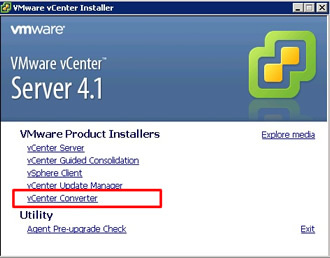 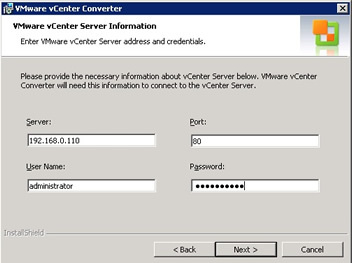 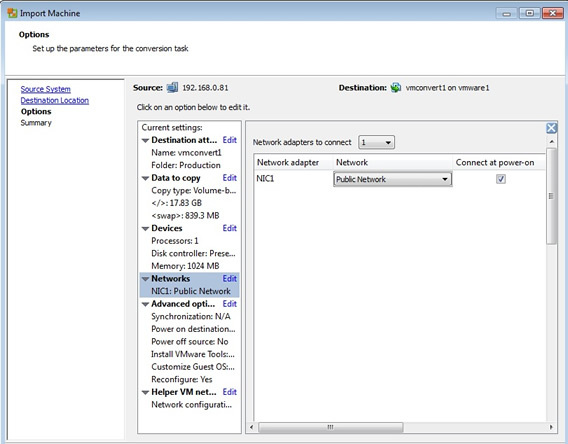 VMware vCenter converter is not a silver bullet, you may have to work with the converted VM to get it working properly, also if the server originally had problems those problems may be replicated in the VM environment. 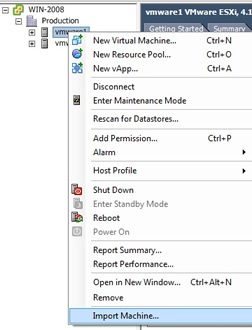 The more complex the physical server (could be a domain control, cluster server, etc), the more you may have problems converting it and getting it to work, here is where you need to look at the VMware forums or search the internet for answers. 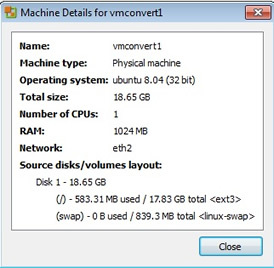 Once you have the P2V plugin installed we can now import a physical server, I have a old HP D510 desktop PC with Ubuntu 32-bit OS running on it (yep old pc and old OS), lets convert this physical machine into a virtual machine. 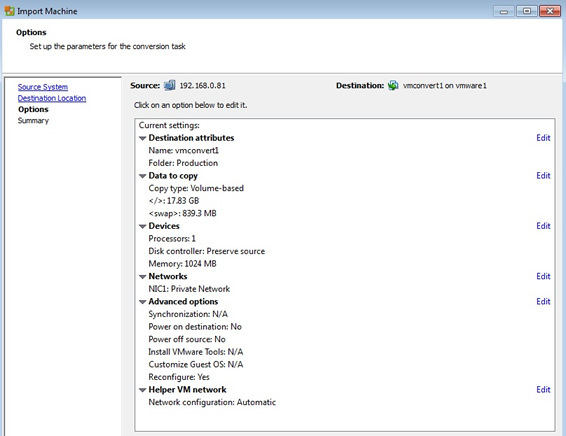 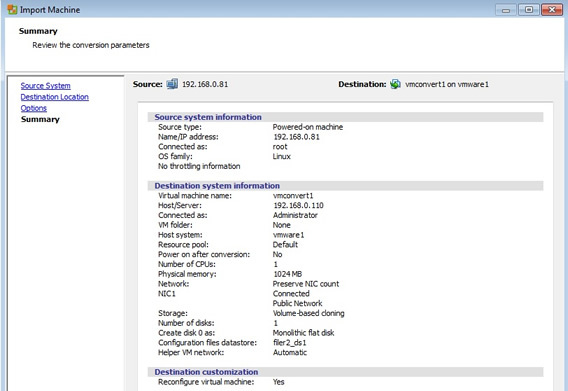 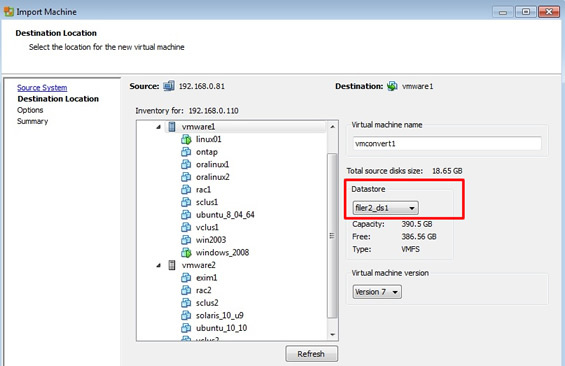 First select the ESXi server that you wish to import the new virtual machine into, in my case I have selected vmware01, right-click and select "import machine"
The "data to copy" screen allows us to select what volumes/filesystems we wish to copy across, there may be a case that you do not some volumes/filesystems copied and thus speed up the importing process. 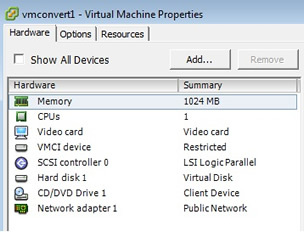 Ok not all P2V conversions will go as smoothly as this one did but you get the idea on what is involved and what you need to prepare before hand when performing a P2V conversion. 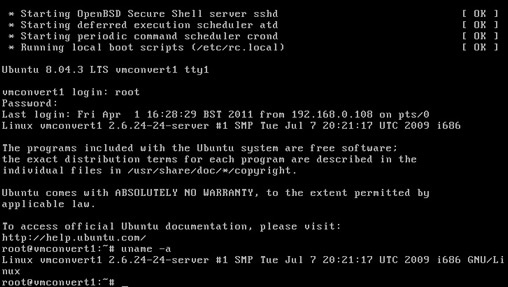 There is also a Cold-Clone boot CD which allows you reboot the physical server from the CD and clone the physical server while it is offline.